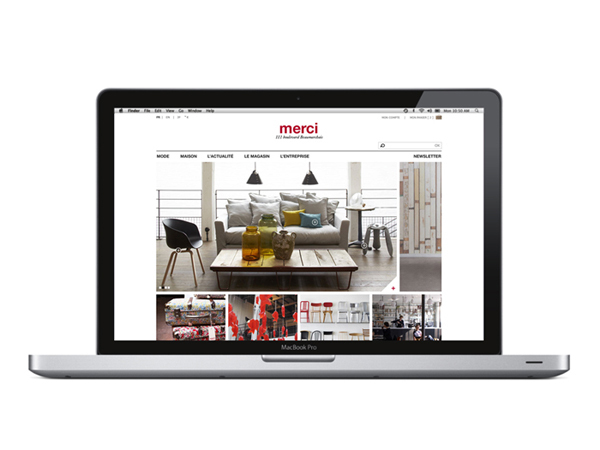 Parisian concept store Merci moves online this week with the launch of its new website. Merci-Merci.com is not only an e-shop but is also filled with rich editorial content including designer portraits and interviews. The store's fine selection of fashion accessories, stationary, household linens, lighting and furniture is now available worldwide, thanks to the brand's decision to deliver anywhere in the world. Information on the upcoming exhibitions regularly organised in Merci's renowned Haut-Marais space are also available on the site.